Since the days of Andy Warhol and Studio 54, artists and the elites of Hollywood and the music industry have intersected in one way or another. In recent years, celebrities seem to be taking a more active and sophisticated role in the art world. 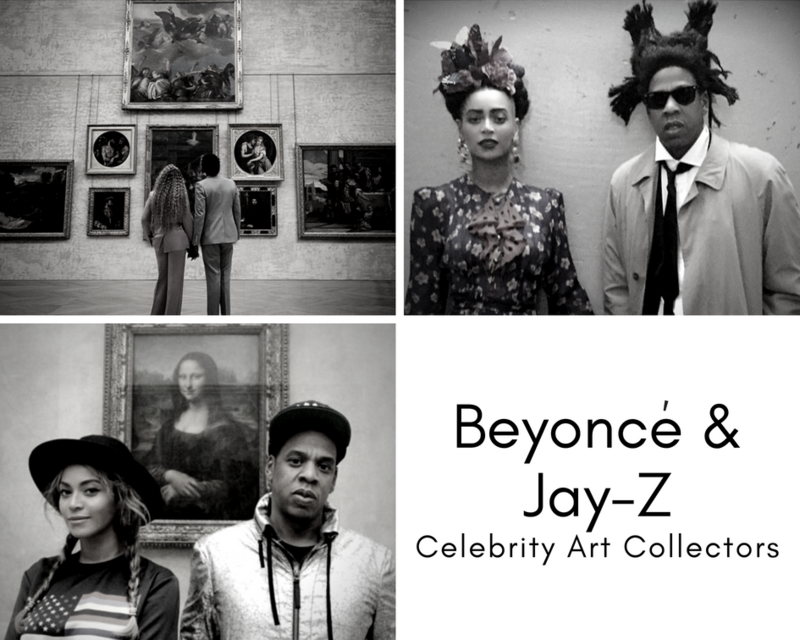 Whether attending global art fairs, important gallery openings or auctions making flashy 7 figure bids, many of today's celebrity collectors are on a mission and they want the world to know it! Like many couples, Jay-Z and Beyonce don’t always agree on what to hang over the sofa. According to a Rolling Stone interview, Jay-Z purchased a Laurie Simmons photograph featuring "a noirishly lit pistol with a pair of women's legs emerging from the handle”. His, wife, Beyonce, promptly sent it back and replaced it with a different piece by the artist, choosing a perfume bottle instead of a gun. After all happy wife, happy life! The power couple’s 2018 “Apes**t” video was filmed at the Louvre among the museum’s masterpieces and garnered some criticism for equating them with iconic art. Thanks for reaching out! We  you, too! Something went wrong... Give it another go!